Is Diesel in Your Future? If a vehicle is supposed to engage all five senses, diesel trucks need not worry when it comes to sound. While the pickups of old may have won the award for smell as well, today’s diesel trucks are as fume free as their petrol counterparts. What remains, however, is the unmistakable sound of a truck designed to work. Burbling at rest and sucking in air as soon as your foot hits the accelerator, there is simply nothing like the sensation of putting a diesel through its paces. 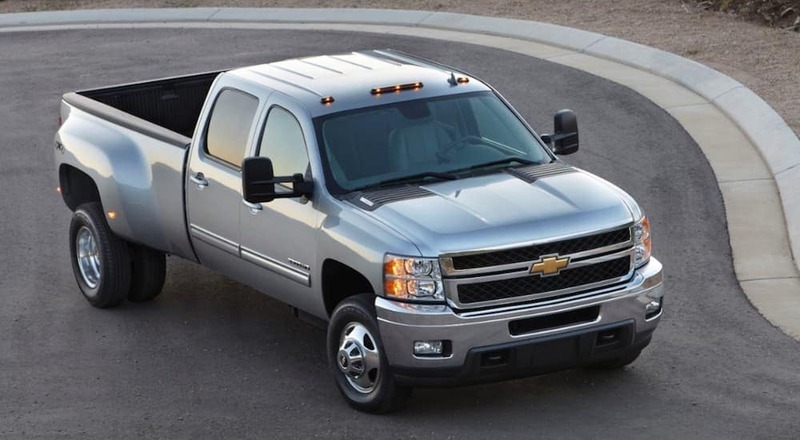 When looking for diesel trucks for sale in the Atlanta area, Carl Black Hiram Auto Superstore has you covered. Although widely accepted in Europe, American never embraced diesel technology in the same way as their counterparts across the pond. Although many automakers have strived to bring diesel vehicles to the US masses, a combination of factors has nullified any of the benefits of going diesel. When petrol is cheap, diesel’s extended driving range is often wiped out by its slightly higher price; over thousands of miles, the money saved by increased miles per gallon is quashed. More recently, a raft of diesel cheating scandals has surely left a bad taste in the mouth of anyone considering a switch. Torque is a measurement of turning power. It is stated in pounds per foot as a measurement of force needed for movement. When combined with RPM, torque provides the force to move an object that ways thousands of pounds. Diesel engines produce more torque because they don’t use a spark plug to create the combustion that powers an engine. Instead, diesel fuel is ignited by compression – the pistons in a diesel engine compress air and fuel together at a high temperature to cause combustion naturally. All of this comes together to produce higher pressure and more torque applied to the crankshaft, which enables a diesel-equipped vehicle to move larger loads. Diesel trucks use the increase in torque to tow more weight and, specifically, get that weight into motion. While most trucks can maintain a consistent speed with weight, diesel trucks are able to pull massive amounts of weight with their increased torque. The results are astonishing. 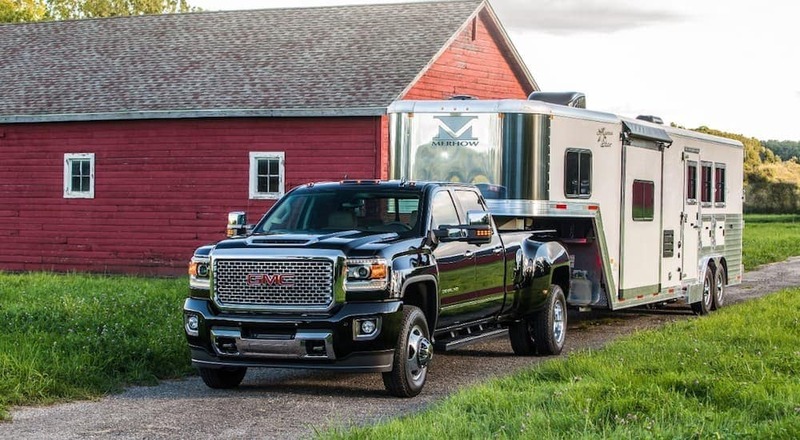 While many petrol-powered trucks top out around 10,000 to 12,000 pounds of towing capacity, the largest diesel trucks can tow nearly 25,000 pounds – that’s more than 10 tons! Much has been made about the rising cost of new pickups, and diesel trucks are no exception. New non-HD trucks often rise above the $50,000 mark while heavy-duty models can easily sail past $60,000. If you want a vehicle with no wear and tear and a factory warranty, it may be worth your while to spring for a new truck. For most drivers, however, a used truck will be a match that aligns more closely with their budget. High mileage isn’t always a bad thing. Of any vehicle on the market, a diesel truck is among the likeliest to hit the market with high mileage; these trucks spend a lot of time on the road, often on cross-country trips. But as long as the Carfax report checks out, a high-mileage truck could be a great deal. If you do decide to go this route, you need to be consistent with service and upkeep. Age and use do wear down parts, but regular maintenance checks will make sure you catch small issues before they evolve into expensive repair jobs. If your budget isn’t flexible, pick a few things that you will compromise on. It’s always a good idea to stick to your budget, especially if you’ve been pre-qualified or pre-approved for a loan. If you can’t find exactly what you’re looking for in your price change, look for vehicles that are older, higher mileage, or a more basic trim level. Your wallet with thank you. Don’t be a brand snob. You’ll meet a lot of truck drivers that describe themselves as a Ford man or Chevy guy. While there is a place for brand loyalty, don’t let it distract you from a great deal. Be Patient. While the diesel market isn’t small, it doesn’t come close to the petrol- powered truck market. If you have time to wait for the right truck, you should. The current spike in truck sales isn’t just for new vehicles – the selection of used diesel trucks has never been better. If you’re looking for a mid-size diesel truck, you may find the market a little small – the Chevy Colorado and GMC Canyon twins are the only mid-size diesels on the market. If you’re not looking to tow super-heavy equipment or just need to get your boat to the lake a couple weekends a year, these two will fit the bill perfectly. Don’t reach for extra brawn if you don’t need it. The full-size and HD market go hand-in-hand for the most part. The four legacy domestic brands – Chevy (Silverado), Ford (F-Series), GMC (Sierra), and Ram (Ram) all offer half-ton (150/1500) and one-ton (250+/2500+) versions of their full-size trucks. While refreshes and redesigns might be slightly staggered, these trucks are often built in tandem and should mirror each other for the most part. The outlier in the HD market is the Nissan Titan XD, as Nissan doesn’t offer the XD’s Cummins diesel in the half-ton Titan. Carl Black Hiram Auto Superstore is your place to find diesel trucks for sale in the Atlanta area. As a used dealer, we know exactly what vehicles customers are looking for and tailor our selection to their preferences. We have an extensive inventory of diesel trucks that are ready to be sold. Whether you’re looking for a mid-size pick-up for a 3500-sized giant, we will be able to help you find what you’re looking for quickly. We will help you through every aspect of the process, from finding your perfect truck, to securing financing, and everything in between. Our highly-trained and well-respected staff members will be able to assist you and will provide you with exemplary customer service. If you are someone who has had a poor car-buying experience, don’t let that sway you from stopping by Carl Black Hiram Auto Superstore. We will show you the respect that you deserve and provide you with an inventory that will leave you speechless. If you’re ready to commit to a used diesel truck, or you have questions for the experts, it’s time to stop by our conveniently located dealership. We know that you’ll be glad that you did. 0 comment(s) so far on Is Diesel in Your Future?